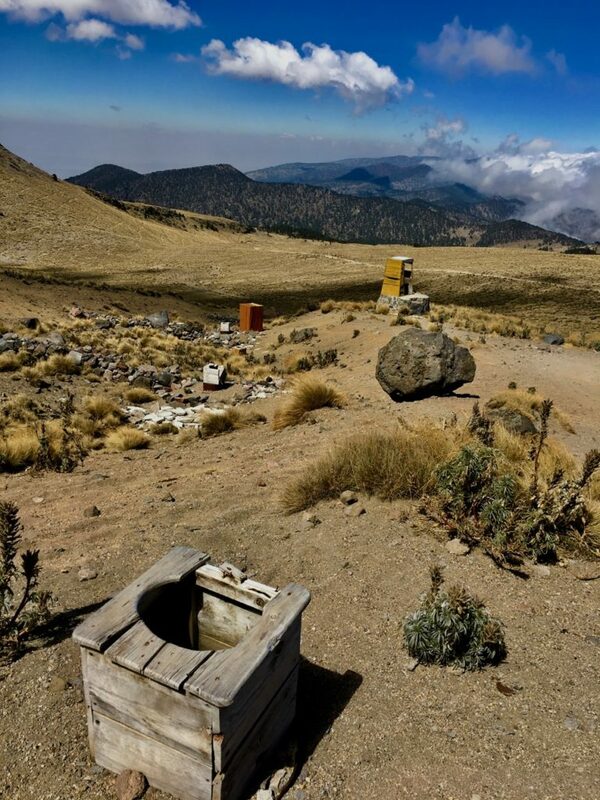 5200 meters above sea level, higher than any point in the continental US or the European Alps! 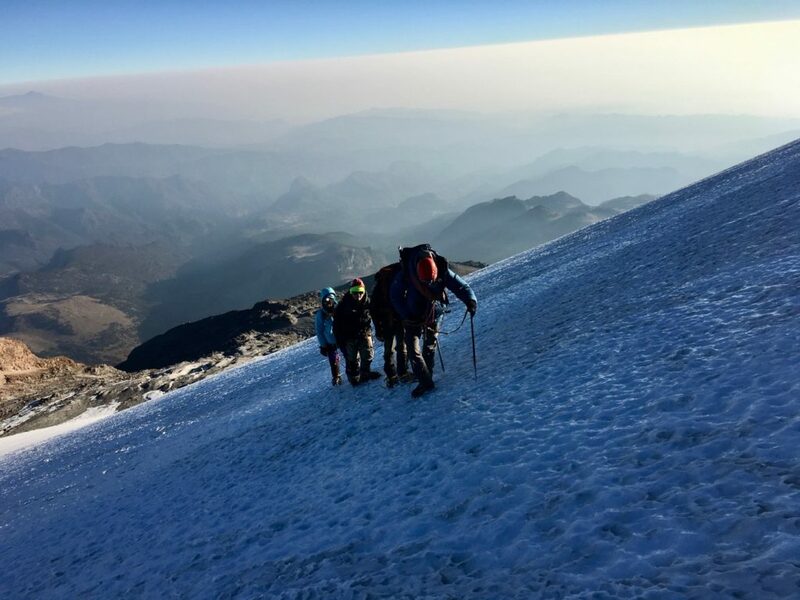 In February of 2018, C4KC teamed up with the School of Environmental Studies (SES), a local Twin Cities public high school, for a high altitude physiology class and a climb of Citlaltépetl (Pico de Orizaba), a 18,491 foot volcano in Mexico. 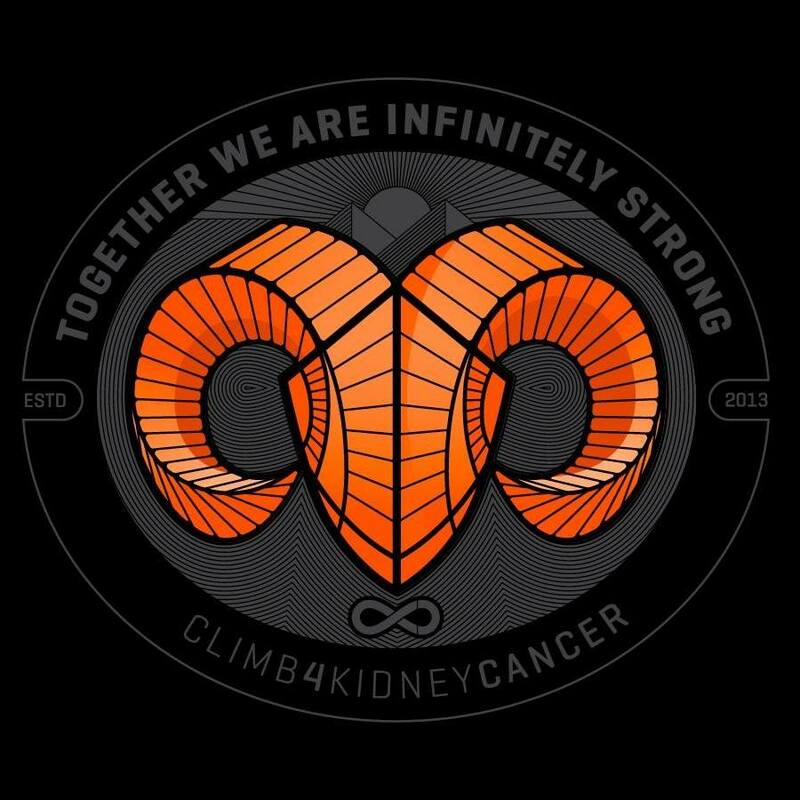 Each student carried with him or her a picture of a kidney cancer patient, and as a team we set out to raise money for kidney cancer research. 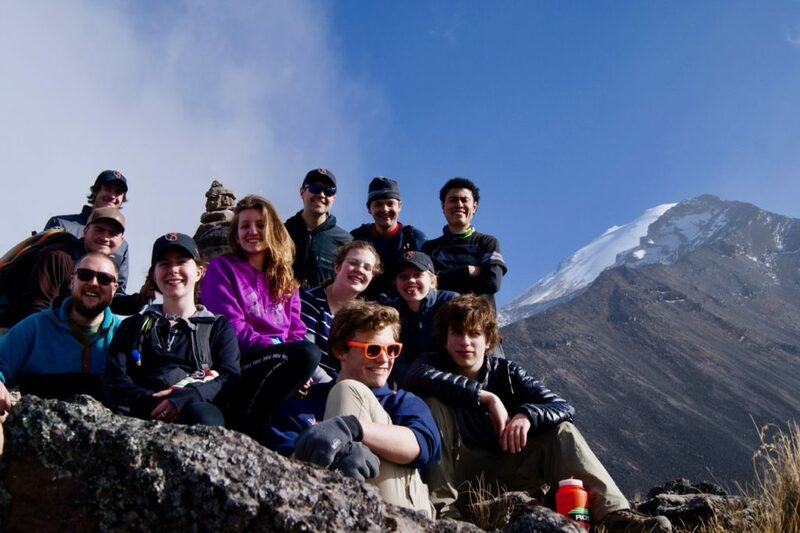 Students and patients meet after the climb. 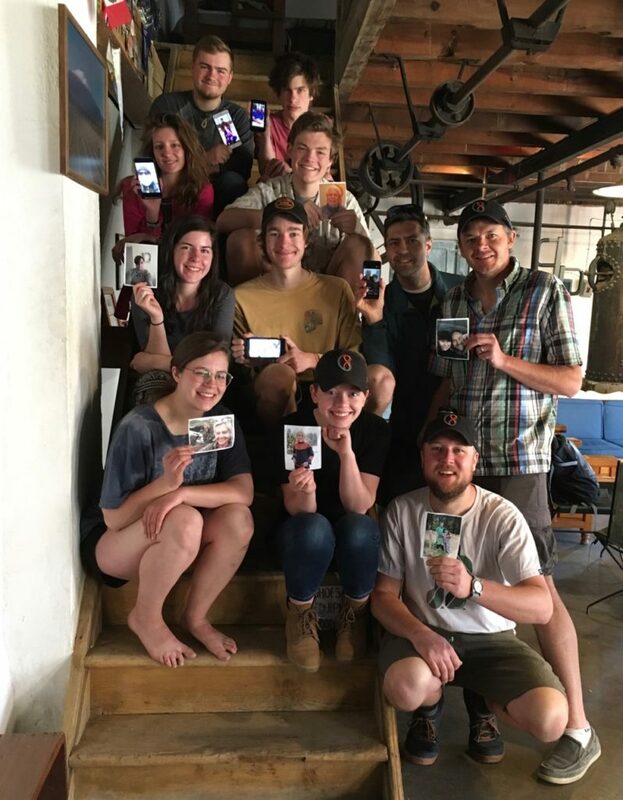 Eight students, two teachers and one doctor sit on the stairs of the climbing hostel Servimont, in Tlachichuca, Puebla, each holding a photo of their respective kidney cancer patient. 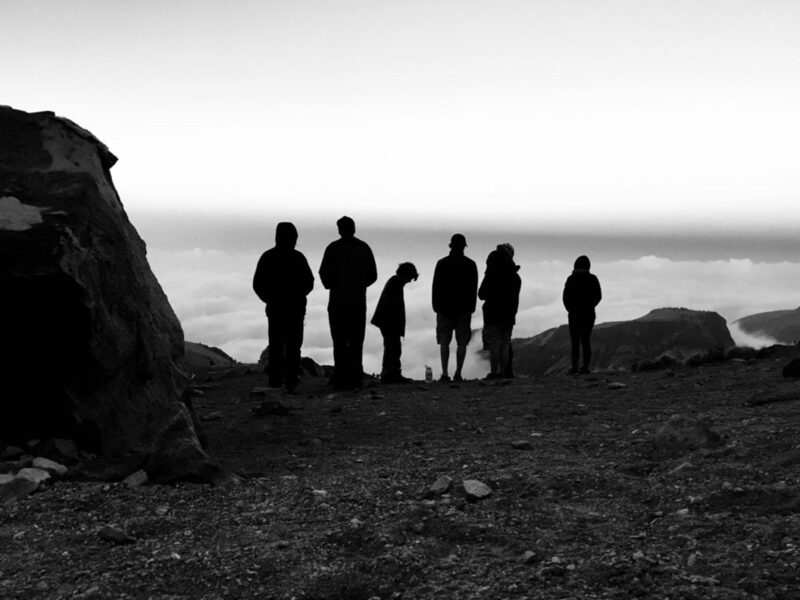 Most of this team had never climbed a mountain before. 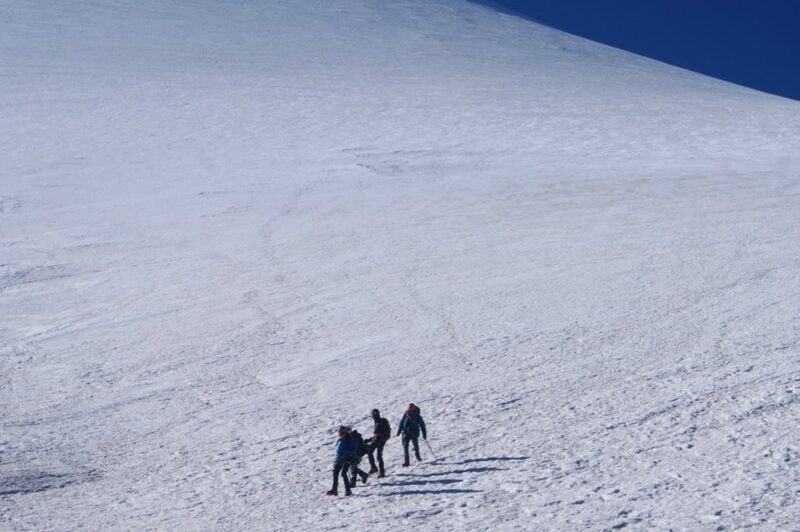 Most had never worn crampons or picked up an ice axe, and none of us had been higher than 15,000 feet. We were heading off into the unknown, much as a patient does after the diagnosis of cancer. Meet the climbers and the patients. Day 1 We began the course on February 14, 2018, learning about the carbon oxygen cycle. See the course notes. We learned to take vital signs, particularly respiratory rate, pulse, oxygenation percentage (SaO2%), and blood pressure. We talked about cellular respiration and then made predictions about how the body would respond to hypoxia (i.e. low oxygen pressure). 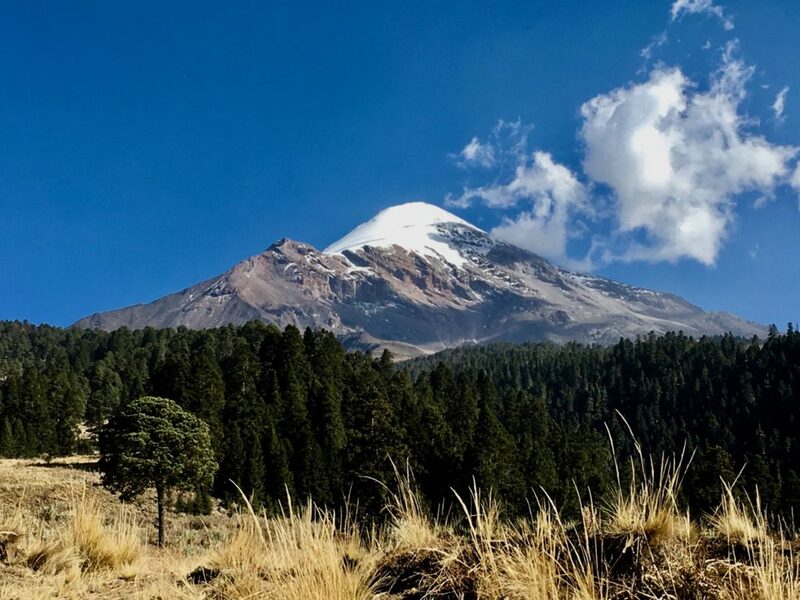 It was a shock to learn that the oxygen available to us at the peak of Citlaltépetl would be about 50% of the level of oxygen available in the Twin Cities. The challenge became even clearer when we learned that this oxygen level was comparable to that of someone with severe emphysema, who would qualify for supplemental oxygen. Day 2 We left for Mexico on February 15th at two in the morning. 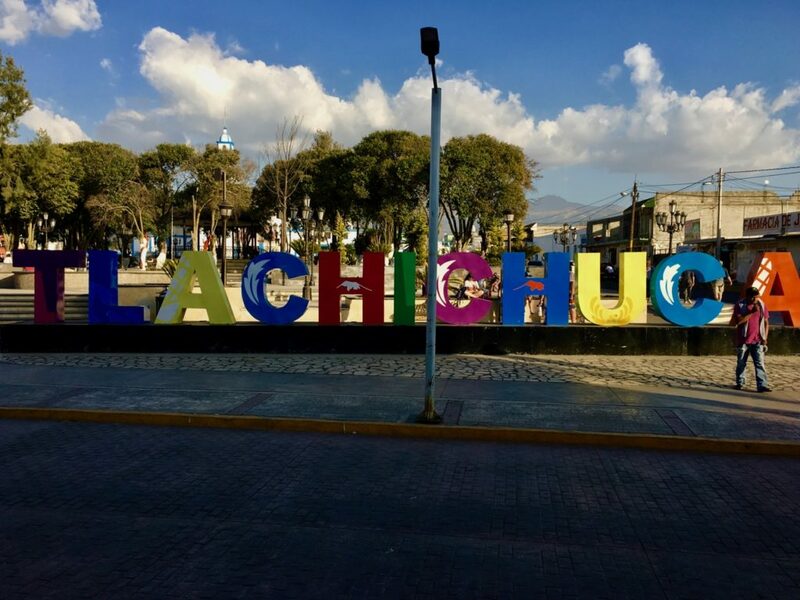 After a day of traveling to Rochester by car, to Chicago and then to Mexico City by plane, and finally by bus to Tlachichuca, we were gassed. 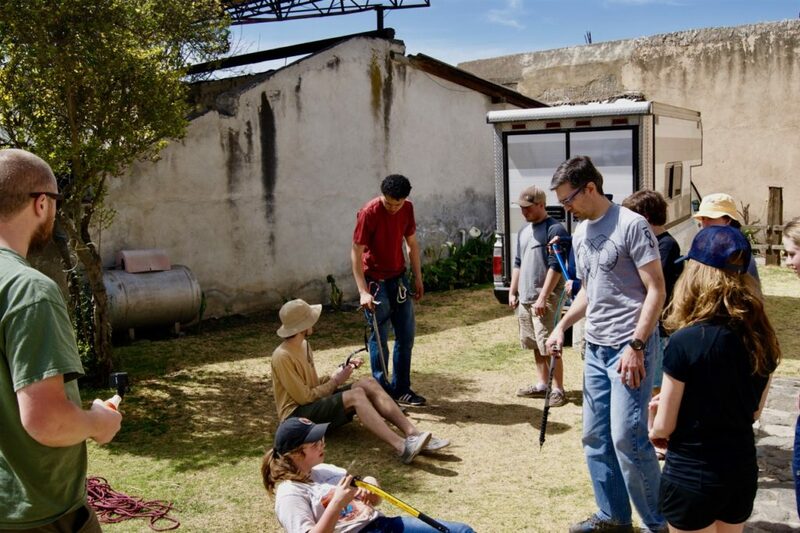 We were greeted at the climbing hostel by the world famous Dr. Reyes, a retired surgeon and current manager of Servimont, one of Mexico’s leading Mountain Guide companies, located at the base of Mexico’s greatest peak. 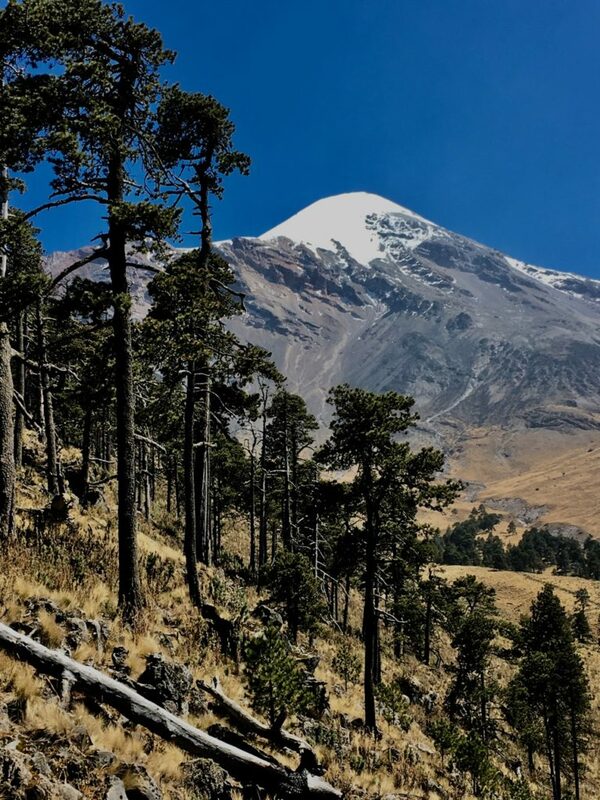 Citlaltépetl dwarfs everything around it. Day 3 We awoke, not to the sound of alarm clocks or cell phone calls, but to roosters, dogs and church bells. We noted a drop in our oxygenation (most of us recorded percentages in the upper 80s, compared to the mid to high 90s at home). 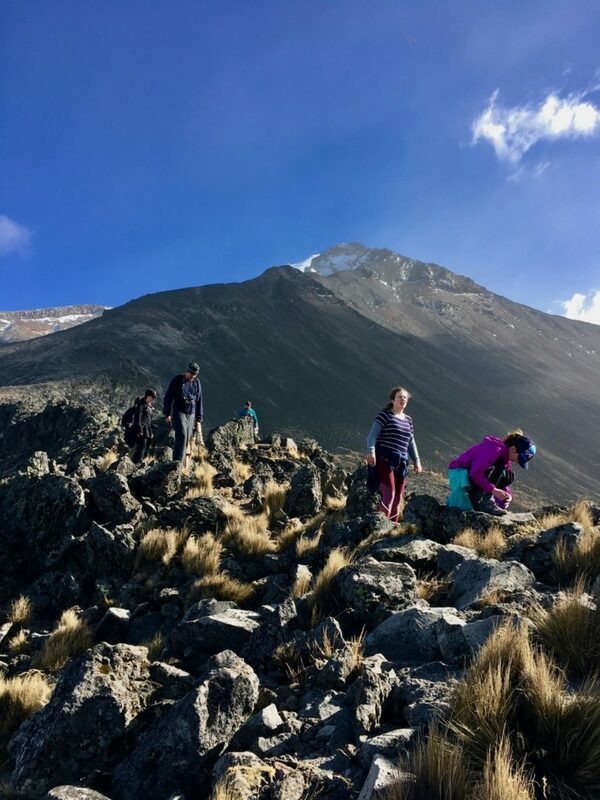 We headed out on an acclimatization hike to allow our bodies to feel the thin air and to start to stimulate the changes necessary to tolerate such low oxygen levels. 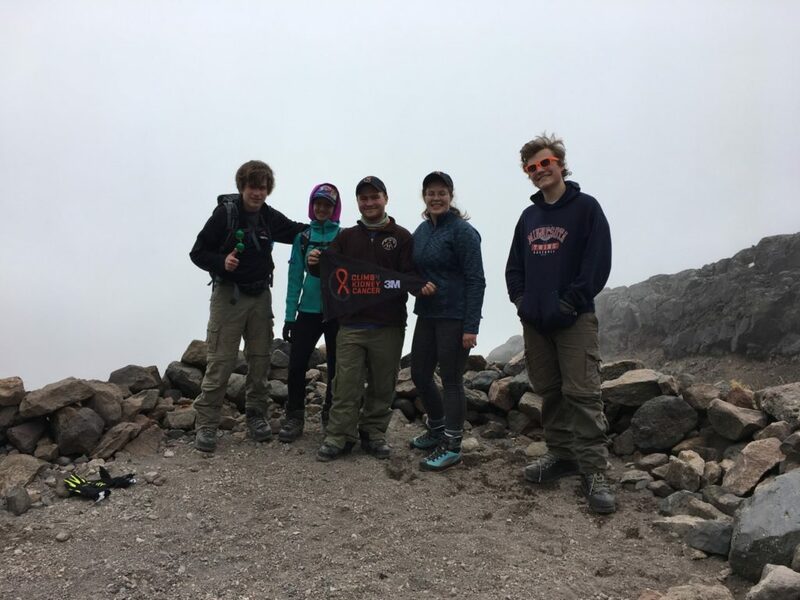 We started at ~11,000 feet and climbed to 13,000 feet. 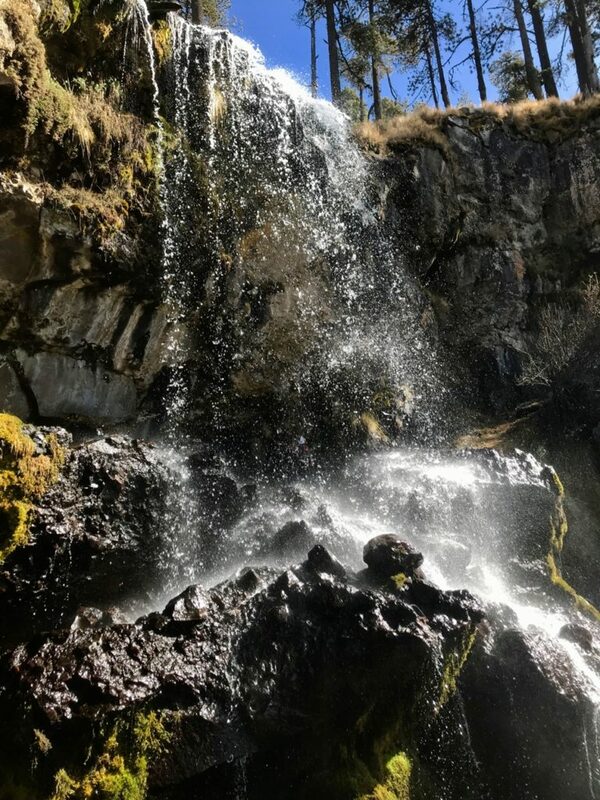 We caught great glimpses of our objective and were surprised by glacial waterfalls. We didn’t make it through this acclimatization climb unscathed. 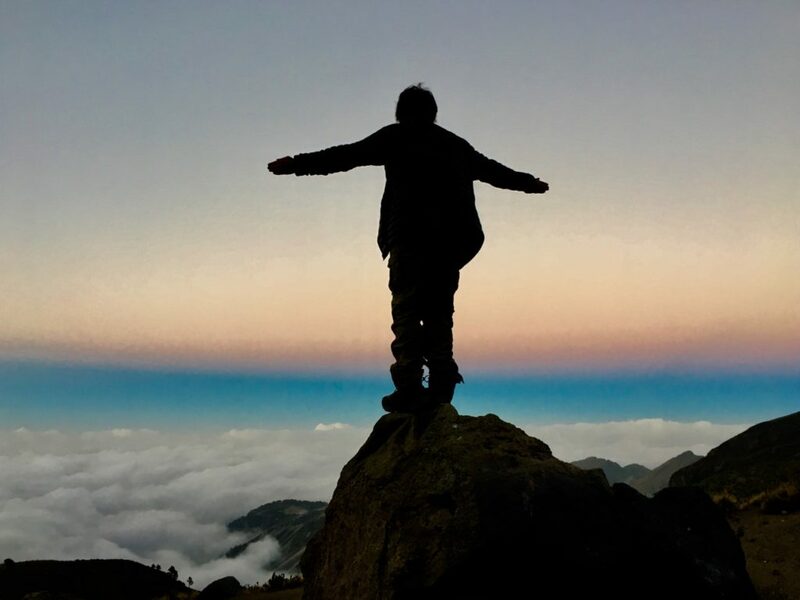 Several of us ended up with the first stages of acute mountain sickness (AMS), the symptoms of which include headaches and nausea, as our bodies screamed out for more oxygen. 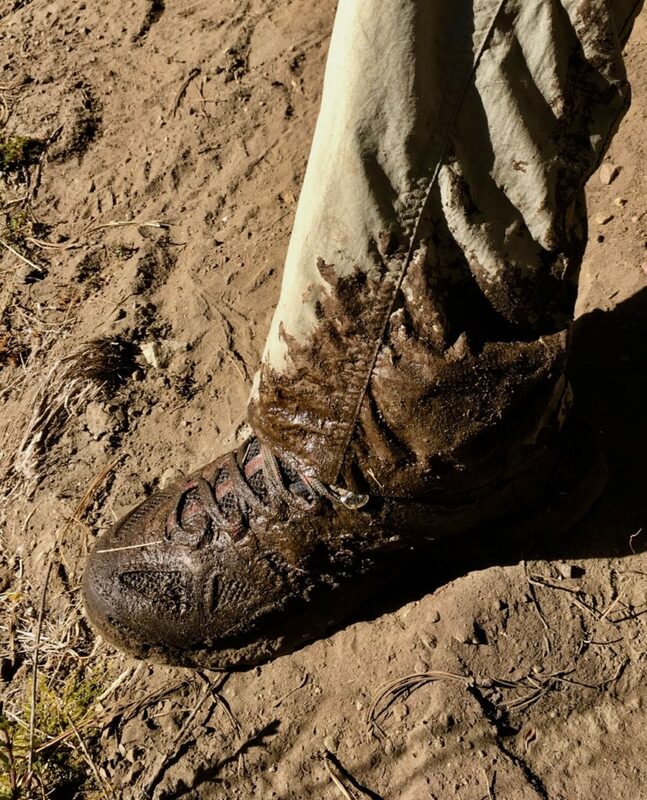 Many students acquired new gear for the climb, but as we found out, wearing new boots is not the greatest idea. First, it probably is going to get dirty. Second, it may leave a mark like this. Sore blisters after the first day of hiking! Day 5 After getting used to working and breathing at 8,600 feet, and climbing to 13,000 feet, we loaded into the 4 x 4 with our gear and headed out to the Piedra Grande hut, called El Refugio, at ~14,000 feet. The tiniest bit of exertion at this altitude got our heart rates up. We measured our oxygenation, pulse and mental acuity and noticed that our bodies once again were not functioning optimally. There was also no running water or indoor plumbing, so we all had a chance to contemplate the beauty of the outdoors when nature called. We headed out on a little climb to a ridge to the north east. Again came the headaches and upset stomachs so common to high altitude, but we had a great hike and the views were spectacular, if not slightly intimidating. 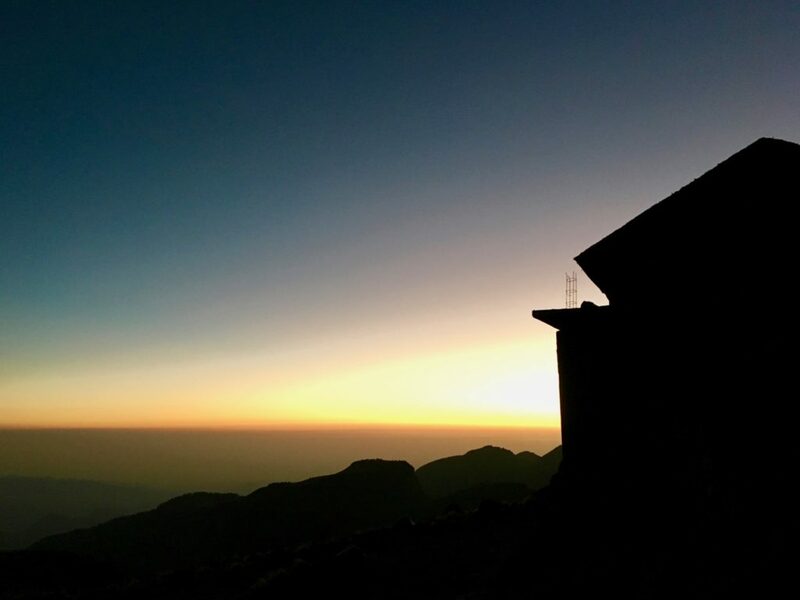 We came back to the hut and were treated to something spectacular: a mountain sunset. Day 6 We awoke to a frozen landscape. Packed like sardines on hard wooden shelves in the hut, we stayed relatively warm during the night, but it was well below freezing outside, and our frosted footsteps could be seen in the rising sun. 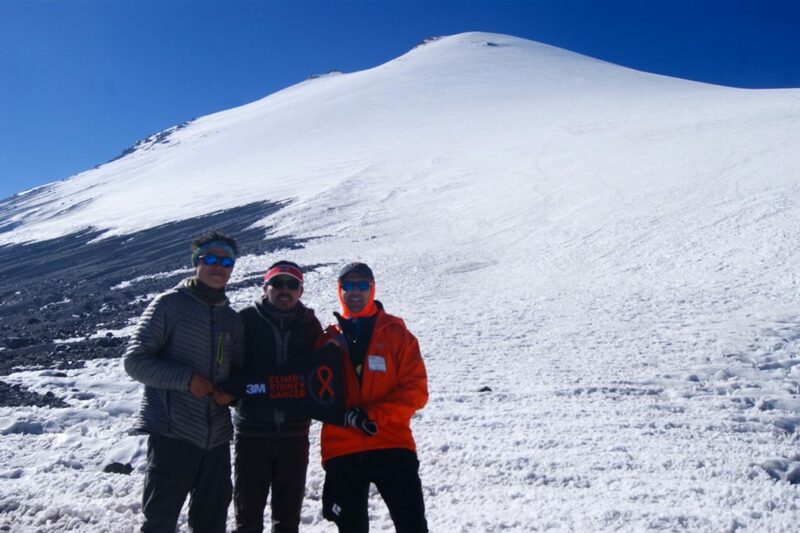 We took another acclimatization climb, this time up to over 15,000 feet. 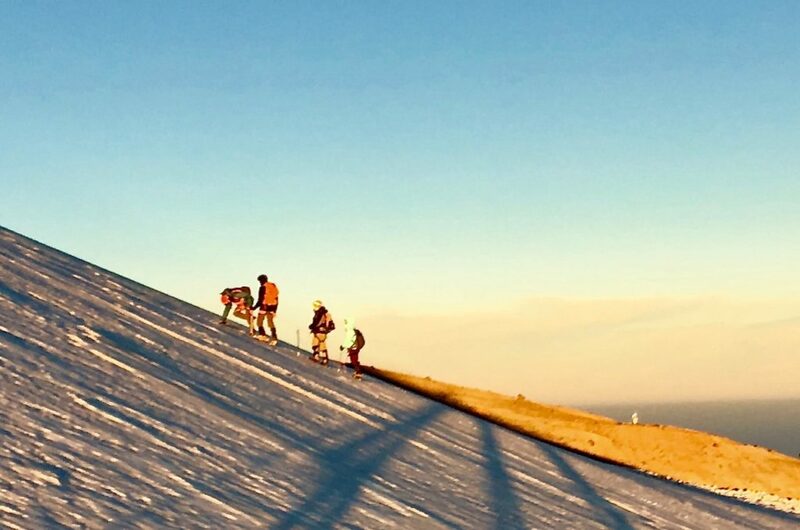 This climb was harder and steeper and represented the first ~1100 feet of the climb we would make in the dark on summit day. Day 7 Summit Day! This day started around 12 am. 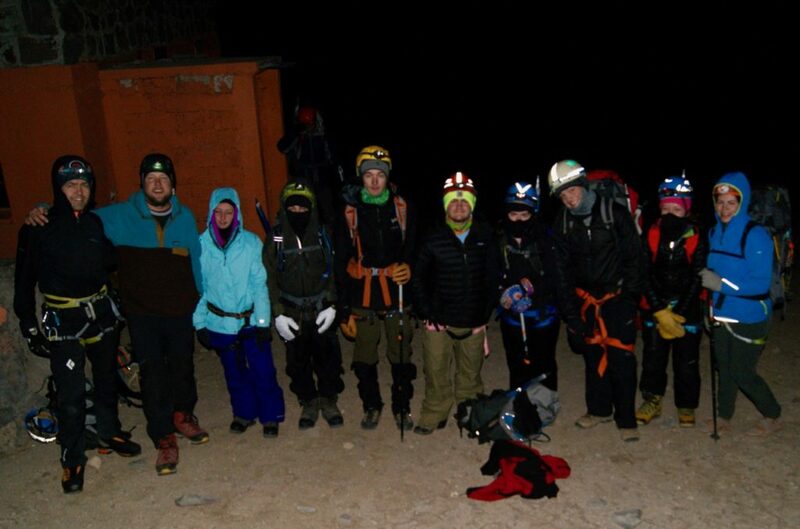 We awoke, dressed, packed, ate and put on our headlamps to start climbing at 2 am. 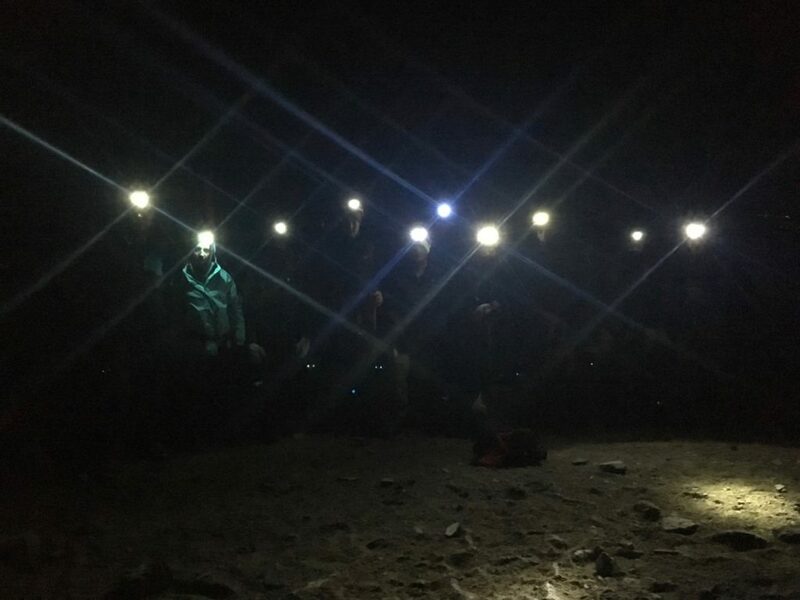 We climbed for four hours through the dark, the photos of our patients tucked into our pockets. 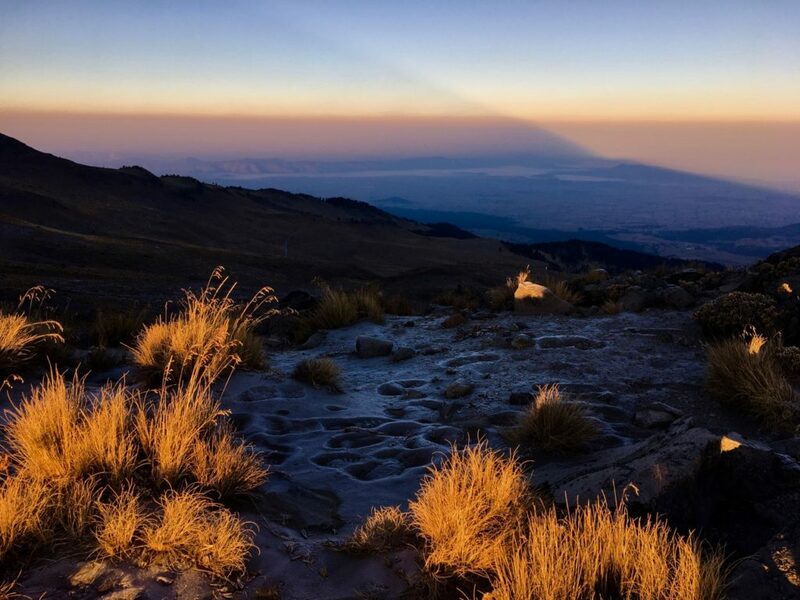 The altitude, despite our efforts to acclimatize, still affected us all. One of our team members vomited, one had an asthma attack, and one nearly passed out. After truly giving their all, these three turned back. The rest of us made it to the glacier, which sits at about 16,400 feet above sea level. 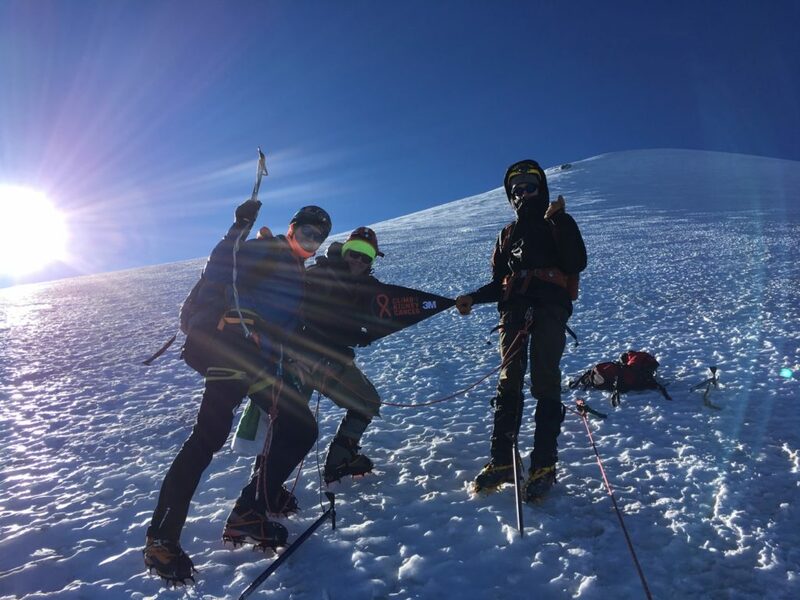 At this point, one of our mountain guides turned back with two more students who weren’t in a condition to continue, and the remaining group members roped up and began climbing the glacier. The ice was terribly hard and our crampons didn’t bite deeply into the glacial ice. 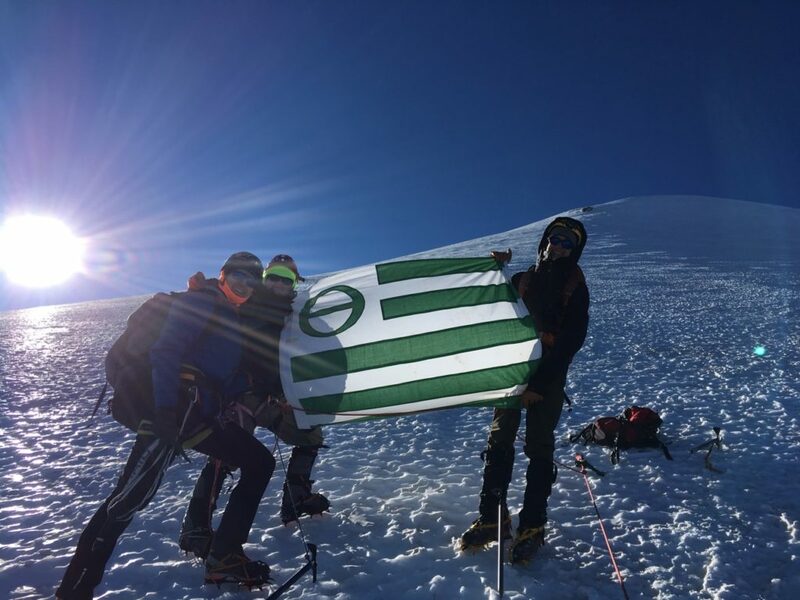 We proceeded up the glacier slowly and cautiously, dealing with broken crampons, faulty gaiters, and mental and physical exhaustion. These delays were costly and when we got to the steep ice, we had a decision to make. We were cutting it very close on our turn around time, and our team didn’t have much crampon experience. We knew that the very hard ice had led to a few deaths this year on the mountain, as well as many other falls. At this point, the decision was clear. Safety was of upmost importance and we determined to descend. We snapped a few photos and began climbing down. 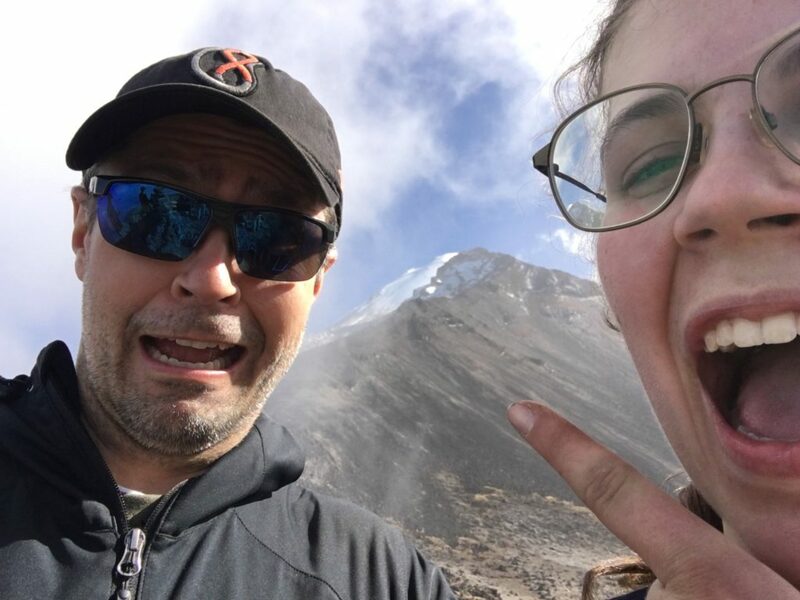 As we descended the mountain, with not a single summit success, we were tempted to feel like we’d failed, but we knew that we’d given our best. 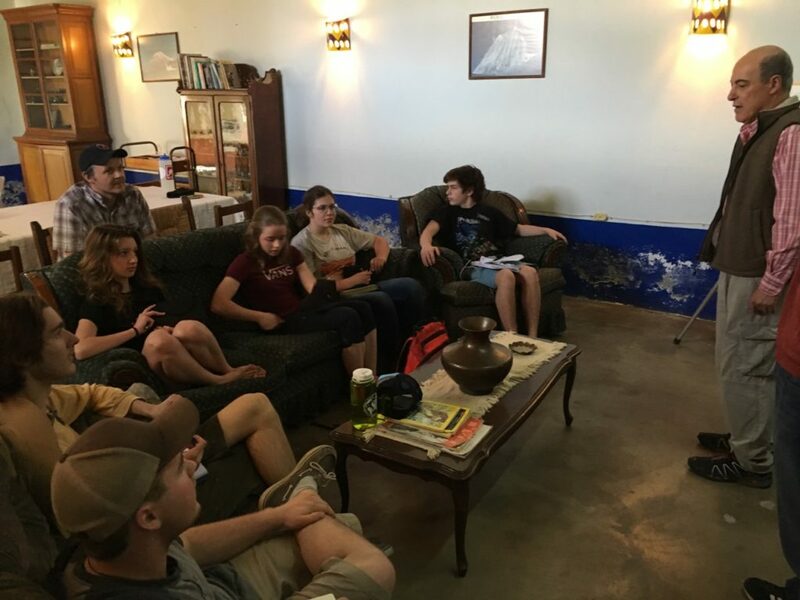 Every team member was dealing with exhaustion, nausea, blisters, a headache, or a combination of symptoms. The descent took several hours. In the following days, we reflected on our experience and found success in giving our all and falling short of our goal. This happens sometimes with our cancer patients. 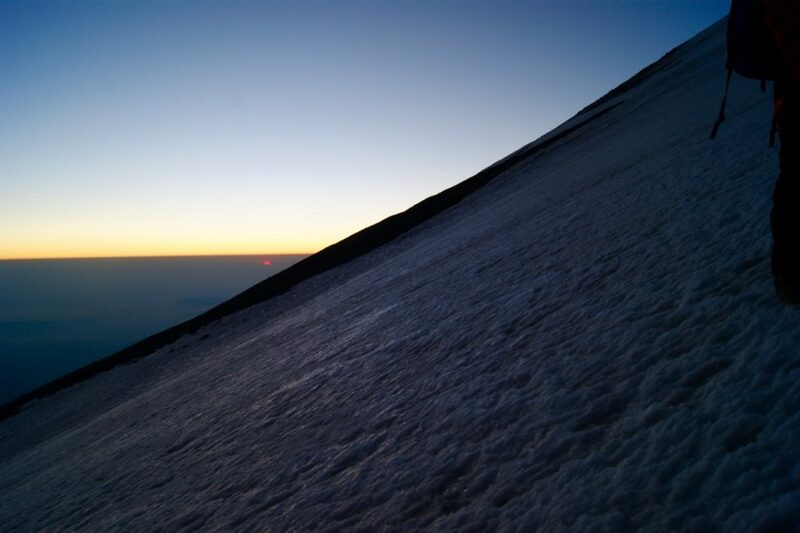 In fact, one of the patients we were climbing for had died in the weeks before we left. Sometimes, even if you want something more than anything else in the world and give your best, you still don’t reach your goal. We had “dared greatly”, and all of us reached a new personal high point. 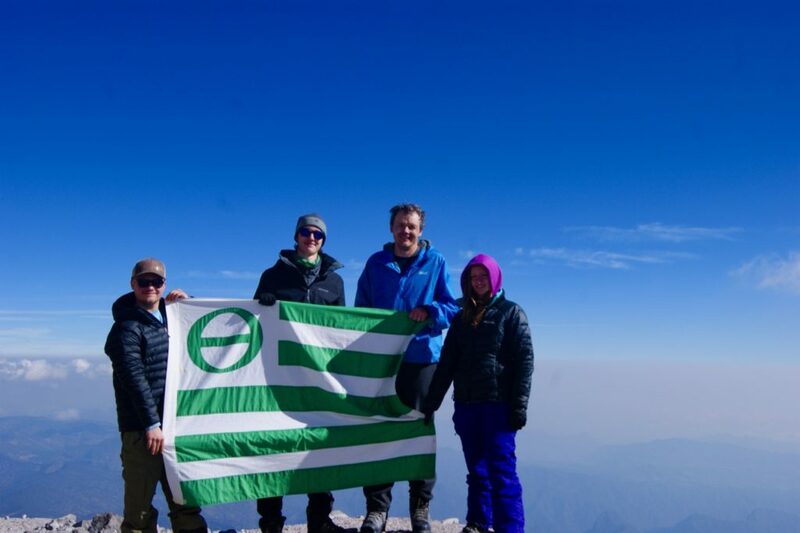 A point higher than any mountain in the continental United States and the European Alps! 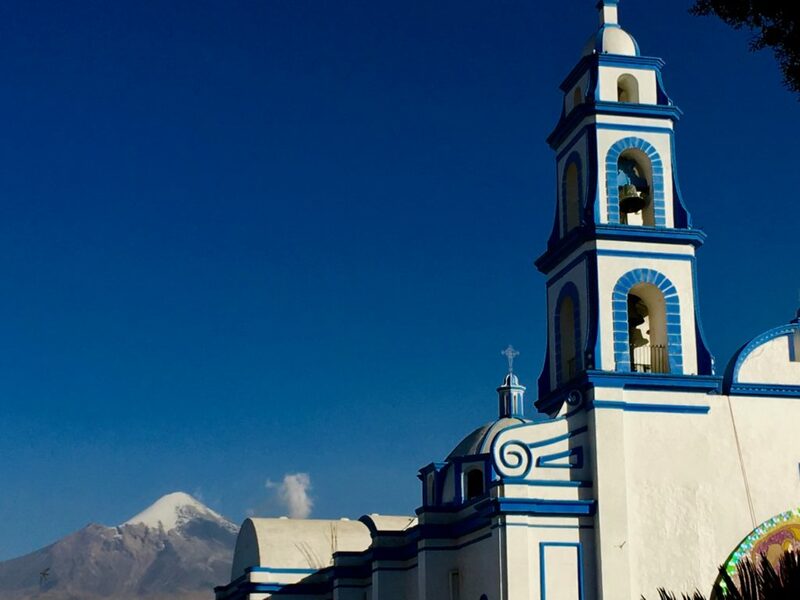 We raised several thousand dollars for research (you can still donate), we learned about high altitude physiology, we experienced some of the wonderful Mexican language and culture, and we forged deep friendships. So no, we did not fail. Instead, we succeeded in unexpected ways that wouldn’t have come about if we hadn’t chosen to “dare greatly”.